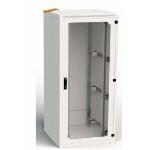 Single Wallmount Cabinet with Fixed Side PanelsTechnical Features Material: 1,2 mm steel Color: RAL 7035 or RAL 9005 Maximum S.. 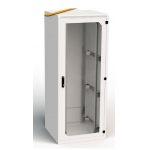 DYNAmic series Networking / Servering Enclosures, provide maximum optimization resulted to an optimum performance in between quality an..
Only - Top/Bottom Cover Plate - RM7 42UW800D1000 Cabinet - RAL9005 mSEVEN – ITEM OVERVIEW OF INDIVIDUAL BOXES Belo..
Material: 1.2 mm Steel Color: RAL 7035 (Light Grey) and RAL 9005 (Black)Finish : Electrostatic Powder PaintPerforation Rate : 67%H (U) W (mm)&nb.. 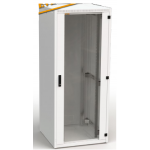 Size Height: 21, 33, 42, and 45U Width: 600 and 800 mm Depth: 600, 800,1000 mm Construction Robust frame design, connected by 32 M5×1..
10" 10U Wallmount Enclosure Height 10U. 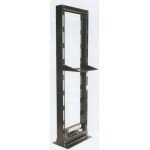 Width 300mm . 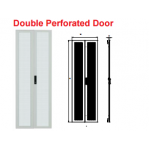 Depth 250mm (10”) Front door clear glass fitted on steel fra..
Wall Mounted Communication and data racks designed to suit different applications as per requirement with rear section fixed and front section hi..
Labrack Fixed 42U 600 Steel RAL9005 .. 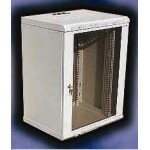 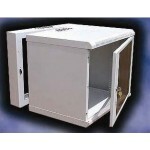 Cabinet Cover Top+Bottom For RMV 42U W600mm x D800mm RAL9005 Complete cabinet includes: Part No Description .. 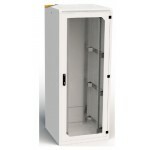 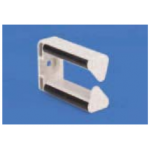 The OPTIMAL ROF rack is designed to cope with the demanding needs of IT equipment within a data center, equipment room and network or telecommunicat..
For orderly cable routing Dimensions: External 61 mm x 42.5 mm Internal 52 mm x 23 mm Supply schedule 10 Cable routers ..
Only - Rear Frame Perforated Door 42U W800 RMF RMF - DELIVERED UNASSEMBLED ONLY Below units are required to comp..